I guess taro is generally associated to older people, but I wasn't in the mood for the super sweet almond or any other flavors I typically get, so I went taro. I've had taro once or twice before. It's a good flavor. I didn't like the watermelon slush. It tastes too much like I'm drinking real watermelon. And that's not exactly what I'm looking for when I'm drinking a watermelon slush. I'm looking for something which is artificially delicious, not realistically healthy. Hope that makes sense. I got a large Jasmine milk tea with strawberry boba. Josh got strawberry boba with his milk tea last time and so I couldn't resist getting it this time. 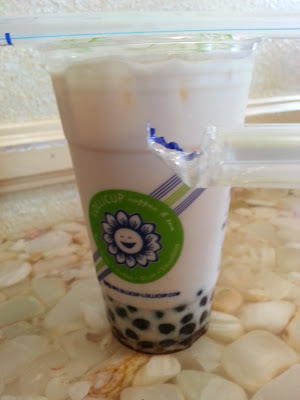 The boba is filled with a sour strawberry juice and so when you bite into the boba you get a burst of the delicious flavor! Josh's drink is on the left and my drink is on the right. 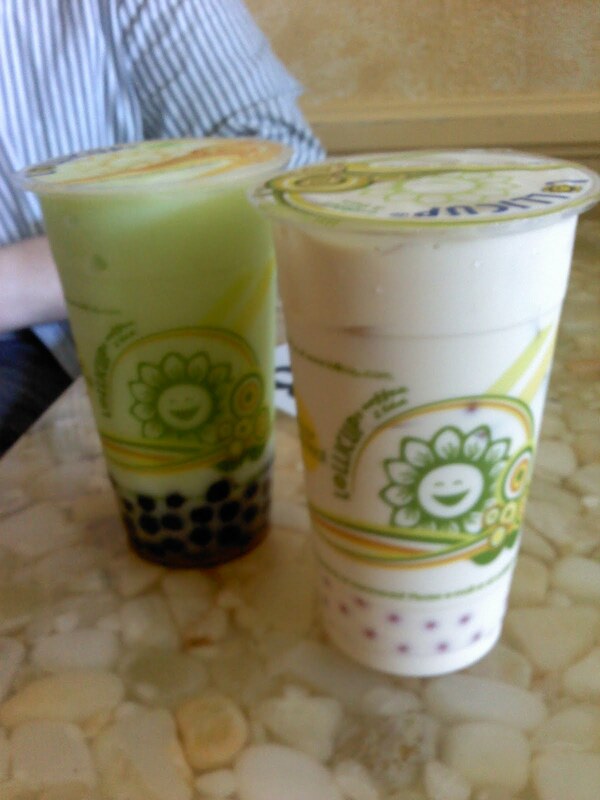 Large Jasmine milk tea with big boba. 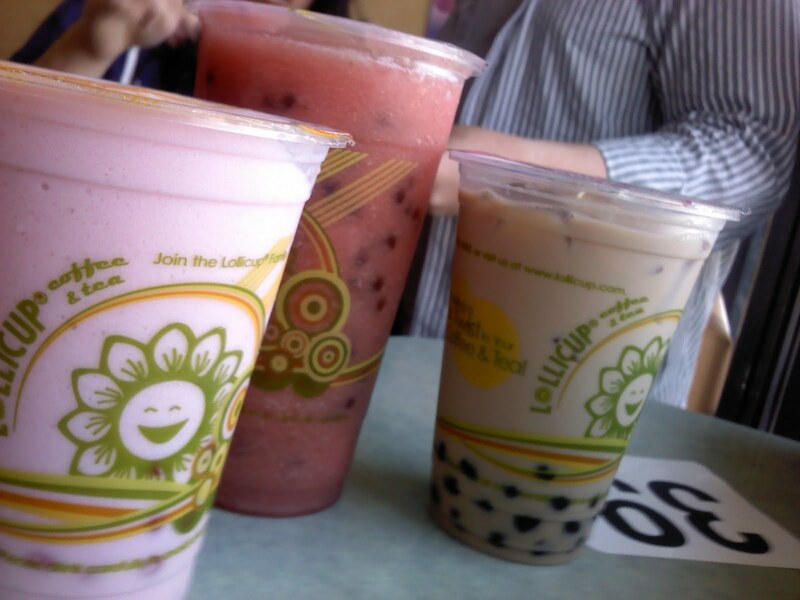 Strawberry boba is popping goodness. I love this place. Today is hot and so I got a Peach Slush. I remembered to get popping strawberry boba today. Other favorites include Jasmine Milk Tea, Coconut Jelly Milk Tea, Taro Milk Tea, and Mango Slush. I'll typically get regular boba with the milk teas and mini boba with the slush. Getting popcorn chicken is also typical. Gone countless number of times.